To D2 or not to D2 - that is the question! I have read that the body takes vitamin D2 and converts it into D3 for use. Therefore, if one has a low level (<4 ng/ml)of 25 OH D2, is that something to be concerned about as long as the vitamin D3 (25 OH D3) level is normal (26 ng/ml)? Well, you are correct. The vitamin d2 level would be nothing to worry about IF your Vitamin D3 total is normal- however 26 ng/ml is FAR from being normal!! When you read the page on Normal Vitamin D Levels, you will see that your vitamin d level is close to HALF of what researchers recommend. So, therefore you should be considered to have vitamin d deficiency or insufficiency and you should be following the guidelines for the Treatment of Vitamin D Deficiency. And the other thing that you are correct about is that the vitamin d2 level is unimportant. 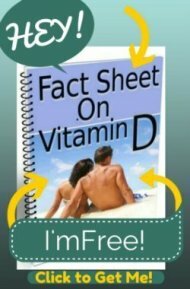 Because vitamin d2 does not occur naturally in our bodies and it is not 'bioidentical' to the vitamin d that is in our bodies, then it should always come up as insignificant (usually it reads it as 'less than 4 ng/ml') UNLESS you are taking vitamin D supplements- then you would see a higher number on the lab tests. That is why they even TEST for vitamin d2, because of people who are taking vitamin d supplements. Otherwise, it is insignificant. the blood! Both vitamin d2 and vitamin d3 convert into the 'active' form on vitamin d in the blood, a substance called 1,25(OH)D. Now, you can ALSO get a blood level of 1,25(OH)D and it is often called a 'vitamin d level', but it is NOT the same vitamin d level and has more use in determining inappropriate calcium metabolism and cannot help to determine vitamin d deficiency. But it is the effects of 1,25(OH)D on 'Vitamin D Receptors' in the body that causes all of the effects that vitamin d has on the body. And, while both d2 and d3 convert to 1,25(OH)D, Vitamin D3 converts into the active form at a rate 5 times as FAST, the form of 1,25(OH)D that it converts into stays around in the blood longer AND has a greater 'affinity' for the vitamin d receptors than the metabolites of D2. I don't claim to understand the biochemistry of it- and this is an EXTREMELY simplistic explanation for a complex biochemical process that they explain in more detail in the paper, "The Case Against Ergocalciferol as a Dietary Supplement". So, I hope that this answered your question and that you get your Vitamin D Deficiency treated. Thanks for a great question. 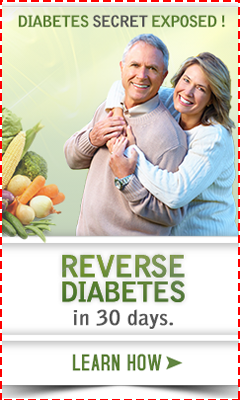 Return to Question about Vitamin D and Cancer?.